Accredited in the market as one of the illustrious business names, we are readily engrossed in delivering top class Pan Mixer Machine. 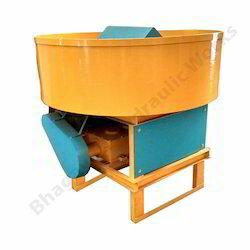 Being a well-established organization, we are engaged in offering a distinguished range of Colour Pan Mixer Machine. The Lid Barrel is Made of Dual Mild Steel Cones. Capacity: 150 Kg. / Batch. Drive: 2 H.P. and 1440 RPM. Ideal Speed: 38 to 40 RPM. 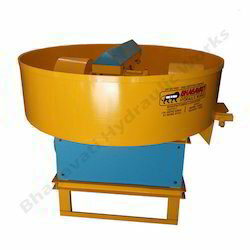 Owing to the perfection and quality centric approach, we are engaged in providing a superior quality gamut of Block Pan Mixer Machine that is developed in line with industry laid values. 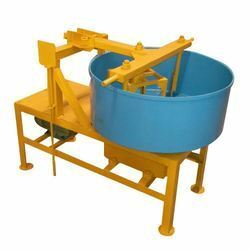 Looking for Pan Mixer Machine ?